Doing It All: Is Working From Home The Answer To Our Prayers? I recently discovered that I like to do it all, and for me, in a nutshell, that would be, writing and parenting. Being a working mom, I regularly get the question of how I “do it all”, and though I try to answer, I think this entire discourse is transforming before our eyes. “The ‘having it all’ conversation is outdated because so many of you are already doing it all,” Maria Shriver recently stated. And she is right. The question we should be posing is not about how to have it all, as Anne Marie Slaughter famously analyzed, but about how we are actually managing to juggle the constant cast of characters the play of life sends our way. Doing it all makes me feel accomplished, and it makes me feel good about myself when I know my family is taken care of in addition to my career. When I was younger, I only worried about myself. I used to be so hung up on being Ms. Career Woman, and spent so much of my Twenties rejecting the nurturing role that even as I welcomed my baby two years ago, I tried to keep my career as my priority just to prove that I could. Initially, I thought I was doing a great job juggling by returning to work with a newborn at home after maternity leave. But really I was not getting the support I needed at my old job, and felt complexed about proving myself professionally at work after having my baby. Although my job at the time offered working from home, it was silently looked down upon, creating a tension for me where neither my baby nor work was getting enough of my time. I discovered the hard way that at my office, working from home came with a lot of stigma from my superiors, while at home I was still trying to fully grasp having become a mother. Throughout the course of our days and of our lives, as women we take on many roles. Image Credit: Flickr. Eventually, I got addicted to the anxiety of life as a new mom, always rushing either to get home, or get to work. Although I had a great partner in my husband, and an amazing nanny, I was the one that had transformed as a person after giving birth. I became a mom. Everything changed for me, but the working world I returned to was very much the same. After two years of non-stop stress, in May of this year, I left my job, a role I let consume me for the past decade. It may have taken me 33 years, but I finally became the full-time writer I always wanted to be. With no nanny, now I work from home, and I get to be a mother. I love it because I am finally in control of my own hours, and that for me means being able to play the most important roles in my life without the judgment of working from home my old job had. There’s no point telling working moms they have the option to work from home, but then look down on them for choosing to. This time around working from home, I feel that I can have both a career and be a present parent. I feel like just as my daughter is really transforming from a baby to a little person, I am there to experience this magical time with her. The many benefits of working from home. Image Credit: Flickr. Flexible hours adjusted my life for the better, and I think it is one of the few ways women can have it all, especially in America, where the working world post- baby is generally punishing to mothers. Although I know most women cannot just leave their jobs and start working from home as writers, what I found is that flex hours are key for us regardless of our profession because we are the ones juggling the most roles in life. That is just a fact for women. That being said, before you get up and leave your desk job (aka stable paycheck) to work for yourself, or work from home doing what you love, as with anything be smart about it. When I left my job after almost a decade, I had a good amount of savings to rely on, had several paid writing gigs lined up, and I was able to get hired as an online editor. I made sure that even though my income would be decreasing, I would still have one. Of course, having my husband’s income to rely on plays a key role in my being able to make this huge life change. Instead of being punished and forced to choose between this or that, women who work need to be given the tools that help us do as much as we can, and want. The number of roles we have as women only increase with age, and to an extent technology is helping make that easier. It definitely helps making working from home possible. Working on your own time increases productivity. Image Credit: Flickr. Because today there are more women at the workplace, and increasingly more women are the primary breadwinners in their families more than ever, America needs to start giving its working-women more control over their hours. Corporate America was structured for a time when only men went to the office, and it needs to start reflecting and accommodating today’s female workforce. The best part of my life right now, in addition to increased productivity, is the time I am getting with my two -year old daughter. The other day, out of the blue, she asked me for a kiss. “On the lips, Mama!” She squealed. I am seeing that a big part of being a mother is really being with your child, and office hours can unnecessarily rob parents of some of the best parts of being a parent. Not to mention, the commute. Working from home saved my sanity. Image Credit: Flickr. Working from home just may be the answer to our prayers because women can adjust them to fit our lives. It is time the world starts waking up to the new reality of a work-home balance for women, and start accommodating that actuality. What does #DoingItAll mean to you? *This post of mine was also featured in The Shriver Report. 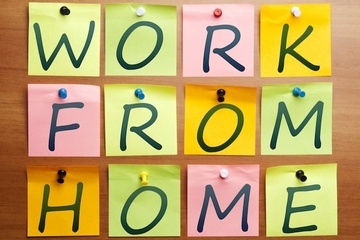 Working from home is as diverse as the jobs we hold outside home. I work from home with the same job for which I was trotting the globe, after becoming a mommy. 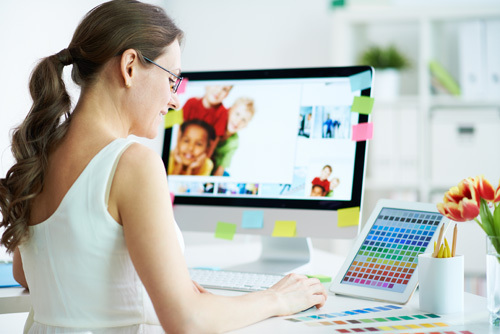 Even with a nanny, working from home can get stressful though it is the best of all solutions that are available to us. A lot of other factors and surrounding support system plays a vital role for us to “do it all”. There are experiences and learning we, the working mothers of this time, are gathering which should pave a little smoother path for our daughters. Totally agree. As with everything in life!